What’s the most interesting encounter you have had with marine wildlife in Galapagos? Over the years I have had the opportunity to snorkel and dive around many of the islands in the Galapagos Marine Reserve (GMR). 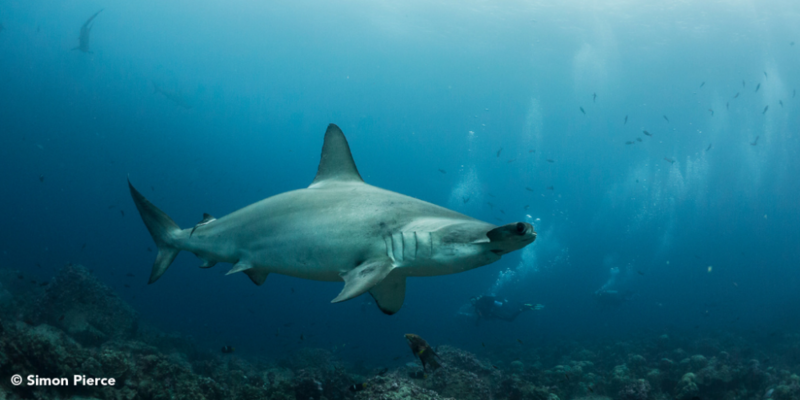 My personal highlight so far remains diving with hammerheads at Darwin island in the north of the Archipelago. From the moment I jumped into the water, and for the entire dive, there was not a single minute when I didn’t see a hammerhead or other shark species. Is there anything you’ve learned about Galapagos Marine wildlife that you’ve found particularly surprising? The Galapagos Islands are famous for their large number of sharks and also for being a natural laboratory for scientific discovery. It was most surprising to me when I started studying sharks that we still know very little about even the most charismatic shark species in Galapagos. 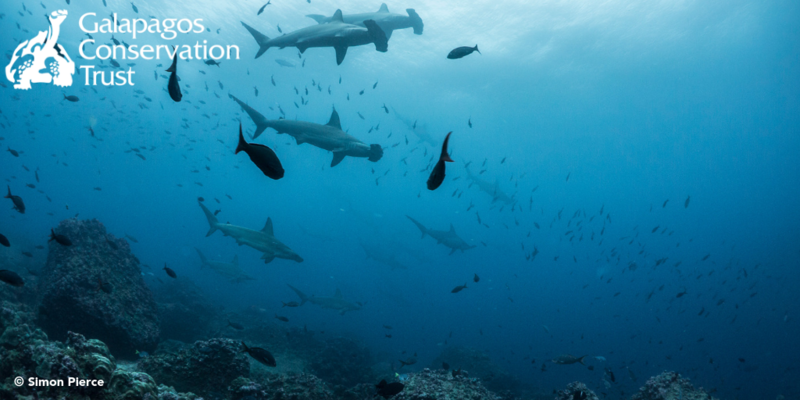 Through GCT’s Shark Science Programme, however, we are making giant steps to generate the scientific information needed to effectively protect sharks in Galapagos and the Eastern Tropical Pacific. What do you think the biggest misconception about hammerhead sharks is? As with many larger shark species, the main misconception is that they deliberately attack humans. 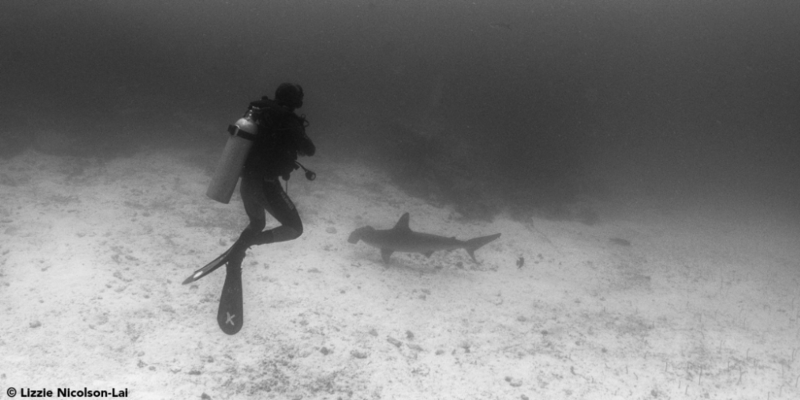 Diving with up to several hundred hammerhead sharks can be done safely when using the appropriate behaviour. How have conservation efforts to date positively impacted wildlife in Galapagos? Is there a particular example or species that reflects this? 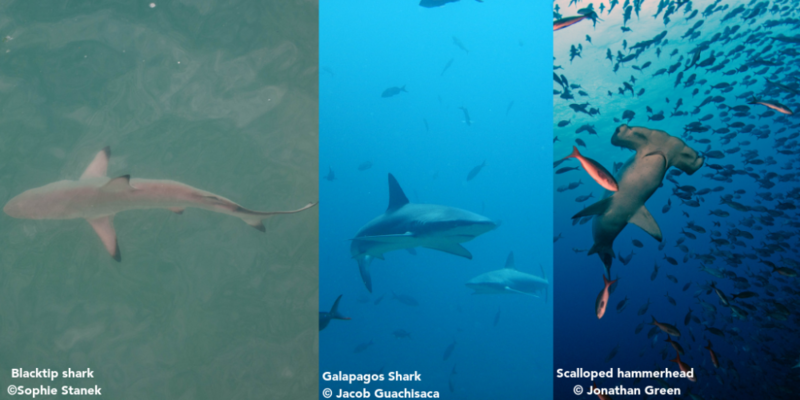 For sharks in particular, the creation of the GMR has made all the difference. After Galapagos was discovered by commercial fishers in the 1990s, unsustainable fishing of many marine resources began to rise. This included capture and finning of sharks. 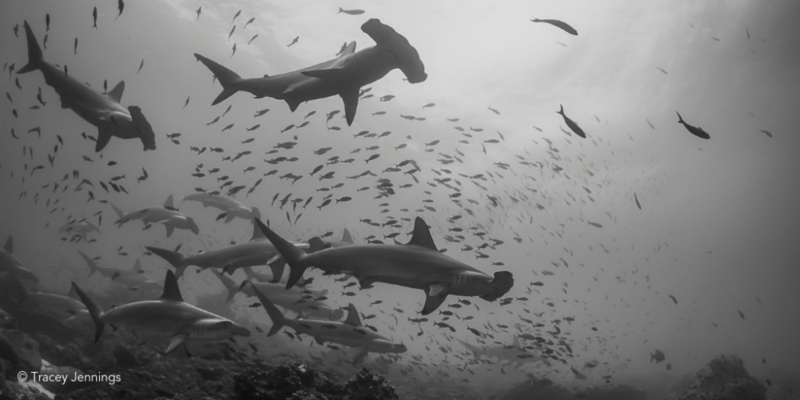 Fortunately, the short history of exploitation of marine resources in Galapagos and the timely establishment of the GMR prevented the sharp decline in shark numbers that is occurring in many other regions of our oceans. 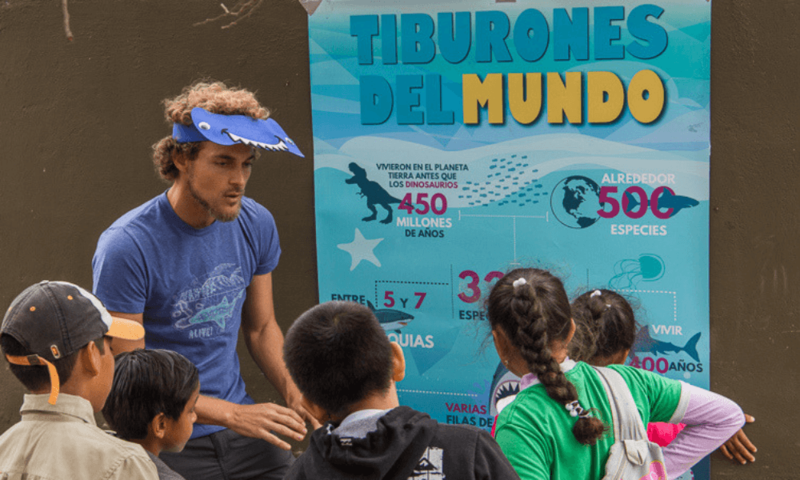 What kind of impact do you feel that educational initiatives such as Galapagos Storybook could have in promoting interest in conservation amongst future generations? A major challenge for conservation is the communication of scientific knowledge to the public. I think the Galapagos Storybook is a beautiful example of how we can bridge this gap. The storybook lets anyone explore the unique underwater world of Galapagos in an entertaining way. 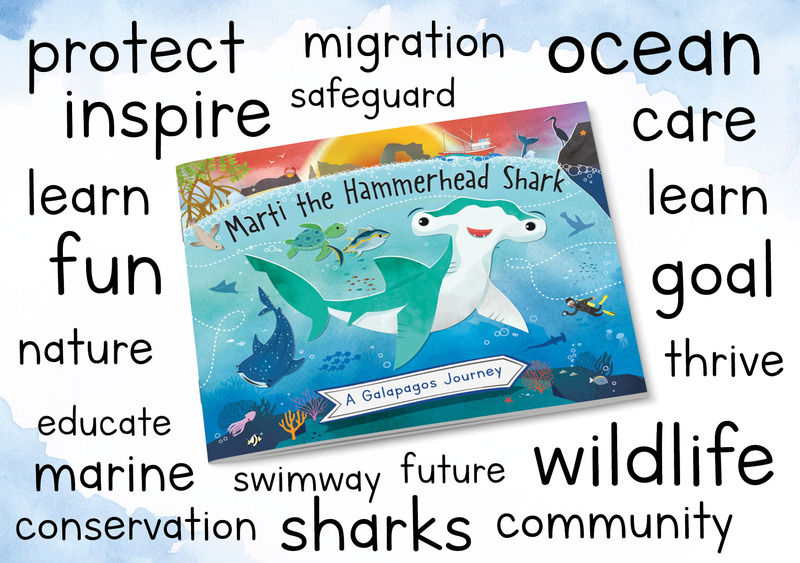 The book leads the audience through scientific reasoning in a playful and elegant way by telling a compelling story about Marti the hammerhead and the friends she makes on her perilous journey between Galapagos and Cocos Island. The reader discovers how scientific information is generated and can follow the reasons why we need international collaboration to establish a migratory pathway that can protect a variety of threatened marine species and ecosystems across country borders. As with all the experts we have spoken to about the project, Max highlights the importance of educational initiatives in communicating scientific knowledge with the younger generations. Increasing awareness of the dangers facing marine life in Galapagos is vital if we hope to see continued support for conservation efforts in future. This entry was posted in News and tagged Education, hammerhead shark, swimway. Bookmark the permalink.